The three finalists for the prestigious 2017 Freedman Classical Fellowship have now been announced. 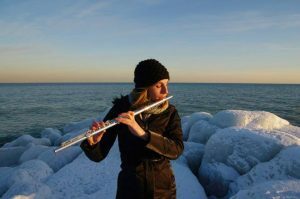 The annual Freedman Fellowship awards a classical instrumentalist, of up to 30 years of age, a $20,000 cash prize to undertake a career-enhancing creative project. The 2017 finalists are bassoonist Matthew Kneale, flautist Tamara Kohler and pianist Alex Raineri. The winner will be chosen at a Finalists’ Concert broadcast live by ABC Classic FM at the ABC’s Eugene Goossens Hall in Ultimo, Sydney on Saturday 9 September at 7:30pm. Tickets are free and can be booked here. The concert will also feature a performance by acclaimed percussionist Claire Edwardes, artistic director of Ensemble Offspring and the Freedman Classical Fellow for 2005. The Fellowship judges are: Dr Stephen Mould, Senior Lecturer in Conducting and Opera Studies at the NSW Conservatorium of Music, Elaine Chia, CEO of City Recital Hall, Sydney and Kirsten Williams, Associate Concertmaster of the Sydney Symphony Orchestra. Previous winners of the Freedman Classical Fellowship represent some of Australia’s leading instrumentalists: oud player Joseph Tawadros, guitarists Geoffrey Morris and Karin Schaupp, recorder player Genevieve Lacey, didgeridu player William Barton, pianists Tamara Anna Cislowska and Peter de Jager, percussionists Claire Edwardes and Eugene Ughetti, violinist Kristian Winther, flautist Lina Andonovska, and clarinettists Ashley Williams Smith and Aviva Endean. The 2016 winner was violist Stefanie Farrands. MATTHEW KNEALE: Bassoonist Matthew Kneale proposes an international concert tour that will shatter preconceived notions by presenting the bassoon as a brilliant solo and chamber entity in its own right. 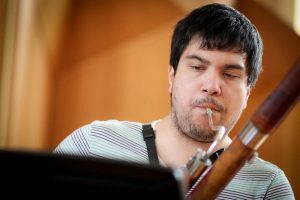 He will perform repertoire such as Australian Holly Harrison’s new work for bassoon and string quartet, written specifically for Matthew, and solo bassoon work, ‘Multisonics’ by Australian composer Katy Abbott. TAMARA KOHLER : Flautist Tamara Kohler proposes to release her first solo EP through a series a of music videos, including the world premieres of three new solo commissions with visual media from composers Jakob Bragg (AUS), Holly Harrison (AUS) and a work for her ensemble Rubiks Collective from Brechtje (The Netherlands), to be presented alongside a new visual interpretation of recent work ‘Ap 16,17’ by Marcelo Lazcano (Chile). 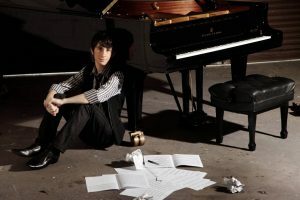 ALEX RAINERI: Pianist Alex Raineri proposes to tour newly commissioned Australian works for solo piano across Europe and New Zealand, introducing an international audience to the work of Australian composers James Ledger, Samantha Wolf, Liam Flenady, Samuel Smith, Corrina Bonshek and Chris Dench.